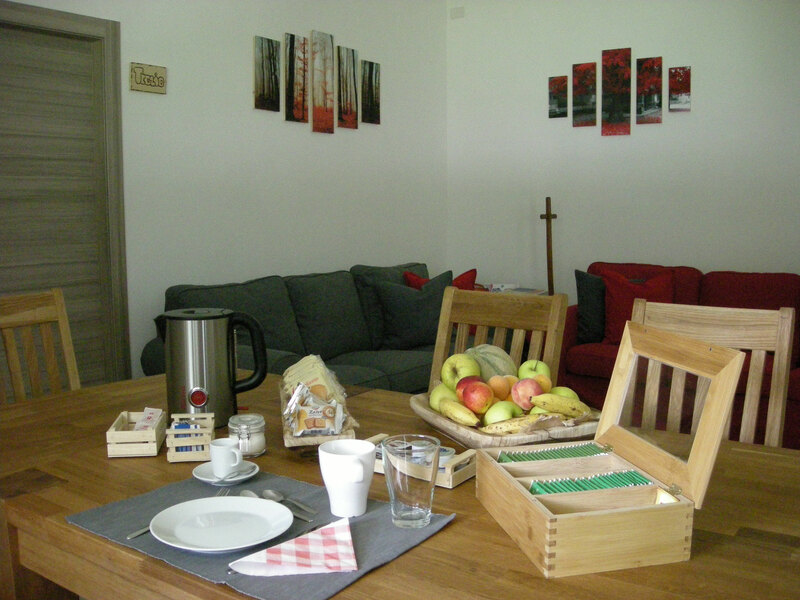 "Il Crocevia" b&b is located in Tresenda of Teglio with direct access on the road SS39 of the Aprica Pass, at five minutes walk from Milan-Tirano railway station. 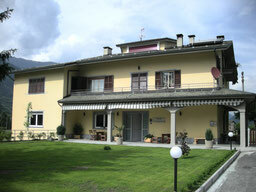 The nearest airports are Orio al Serio (Bergamo) and Malpensa (Milan). Thanks to its location it offers both a direct access to the road, and at the same time the tranquility of a location in the green. The name Crocevia (Crossing roads) is derived from its geographical position, along the SS39, a few miles from Aprica slopes and mountain landscapes and over the Tonale Pass; through the SS38 it is possible to reach Tirano with the starting station of the Bernina Express and the Swiss border, or the Bormio ski slopes and thermal baths and, further, the Livigno duty free area and the Stelvio Pass. 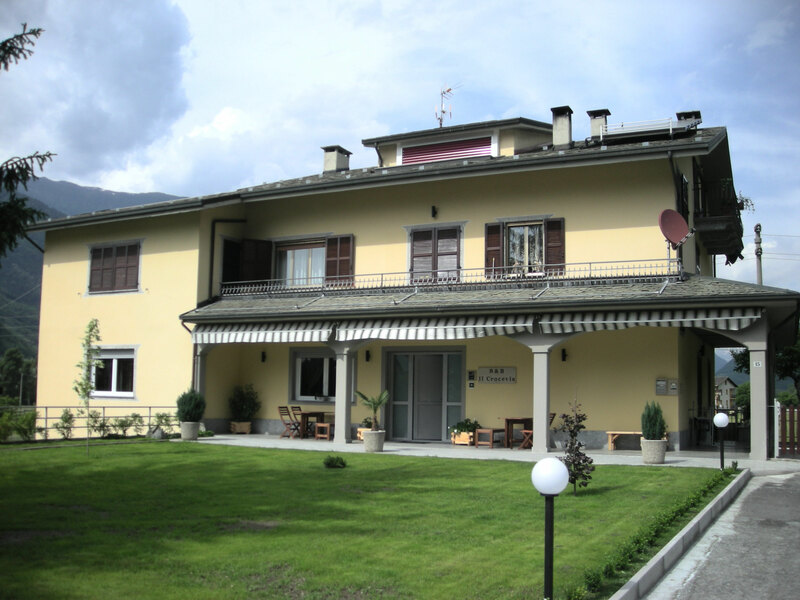 And last but not least, we are few minutes from the stop area "Tresenda" of the beautifull "Sentiero Ciclabile Valtellina" at km 67,4 (see "Around us"). 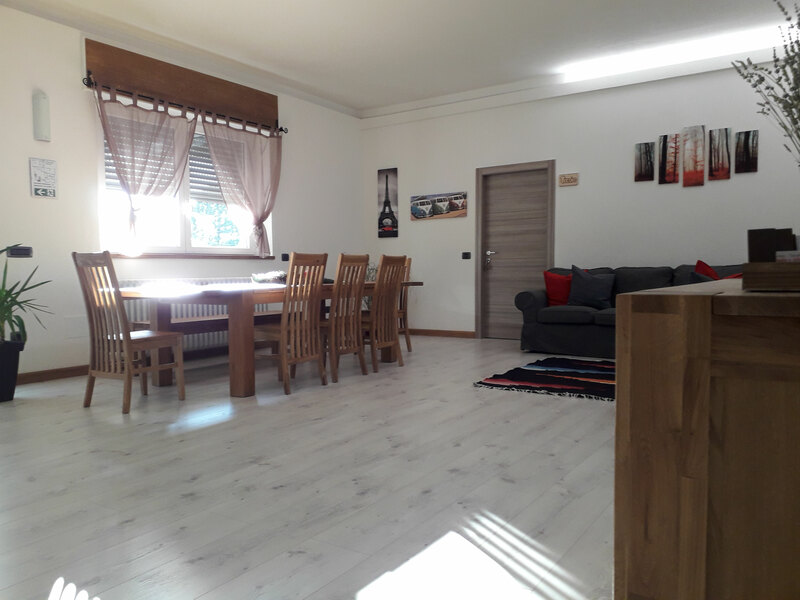 It is therefore a convenient starting point for those looking for a cozy and carefully holiday home, with accommodation and breakfast service in the heart of Valtellina, a few steps away from Sondrio and from many points of interest for vacationers and sports. Completely restructured in late 2016 with dedication and attention to detail, it has a large common area use living room, a nice veranda, a great garden and a large own free parking. Our rooms are spacious, bright and can host up to 4 single beds or 1 double and 2 singles. Each room is equipped with own en suite bathroom with a large, particular shower, hairdryer, towels and soap hands. Each room included a LED TV, wi-fi and bedding. Breakfast services is available from 8.00am to 10.00am and it is usually carried out in the large dining room with the option, during the summer, to have breakfast under the covered patio in the shade. We normally serve a classic breakfast preferring the fresh, local products such as milk, butter and yogurt, honey and jam of our valley to prepare cappuccino, coffee, tea and croissants, fresh bread, biscuits, cookies and cereals, squeezed juices and fruit juices. On request it is possible to have a more aggressive breakfast with cold meat and cheese, eggs and toast, or choose for a "a little bit of everything". We will try to meet the requests of our guests, we kindly ask them, to notify us at the time of booking or with sufficient time, allowing us to ensure only local and fresh products.